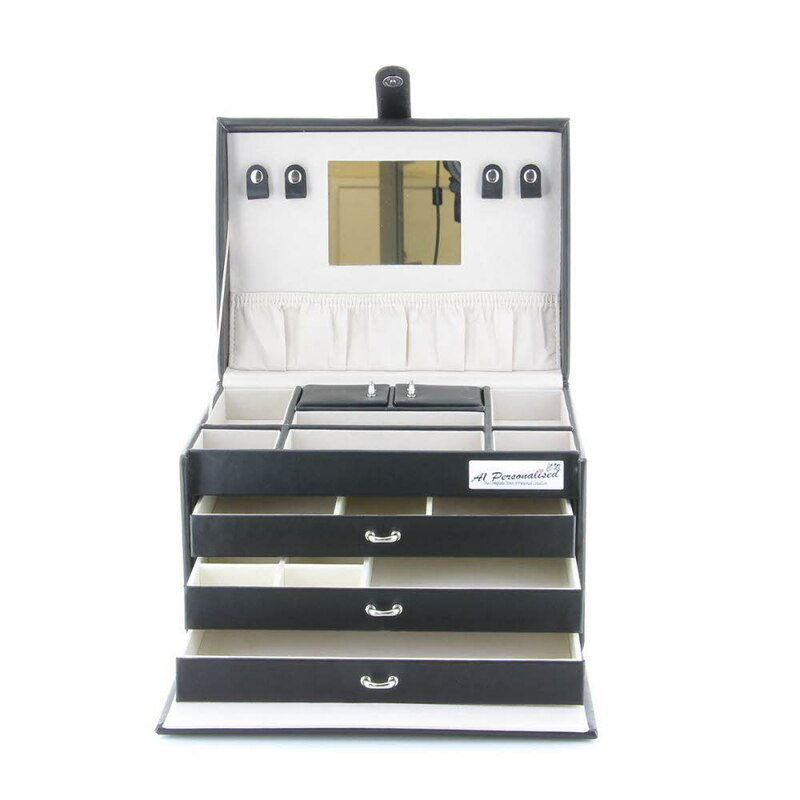 Black Bonded Leather Elizabeth Jewellery Box. The black bonded leather jewellery box with a small mirror on the underside of the lid together with straps for storing bracelets or necklaces and a handy pouch.The top section contains eight different sized compartments for the storage of smaller items. The front section comes down to reveal three drawers - the first two drawers are divided into different sized sections to organise your jewellery. The bottom drawer is the full width of the box for the storage of larger items.26 cm wide x 19 cm deep x 17 cm high approximately.